3.11.1. How do I switch the power supply to work at 110V or 230V? This is easily done with the datapower 1.8 Amp power supply. The 1.8A power supply has internal jumpers that are adjusted to suit the line voltage. 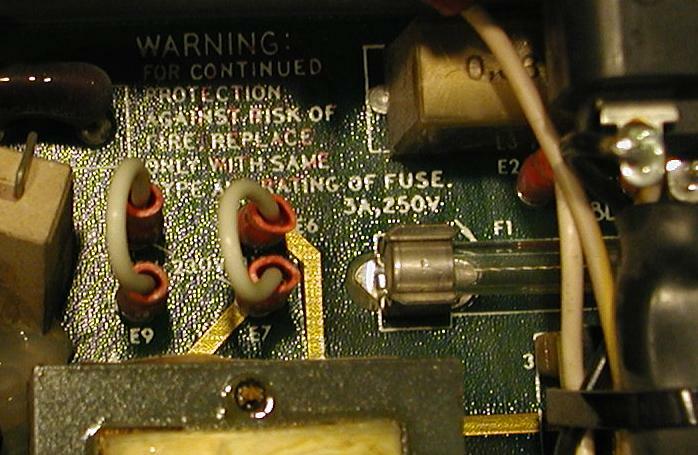 The jumpers connect spade connectors labelled E4 through E9, located to the immediate left of cr2 and the fuse. 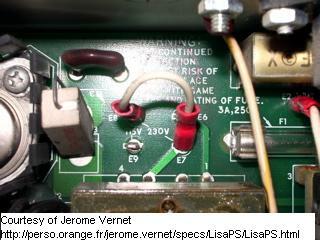 The 110V configuration has the jumpers connected between E6-E7 and E8-E9 as shown in the image below, and between E4-E5 (not shown). Switching the line voltage for the 1.2 Amp power supply is awkward as it involves soldered jumpers and changing the filament transformer used for the standby power.